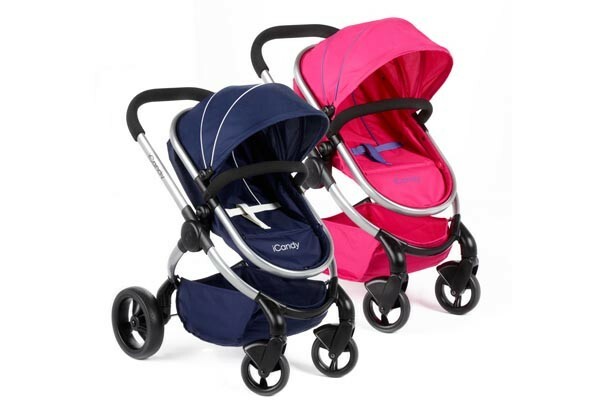 The mini version of the iconic iCandy Peach 3 stroller lives up to its brand name, so much that your little one won’t believe it. The MiPeach is easy to assemble, easy to clean and easy to transport. The adorable pushchair shares all the features of a real pram, including puncture proof EVA tyres making it suitable for the outdoors as well as its two position, foam handle, that will grow with your child. Suitable for little ones aged three years and over, the pram has front swivel wheels making it easy for them to manoeuvre. The MiPeach has a two way facing, reclining seat that can convert into a carry cot, with an adjustable harness that will keep teddies and dollies safe and sound. If you have a toddler anything like mine than they will have lots of fun filling up the large basket with all their toys.